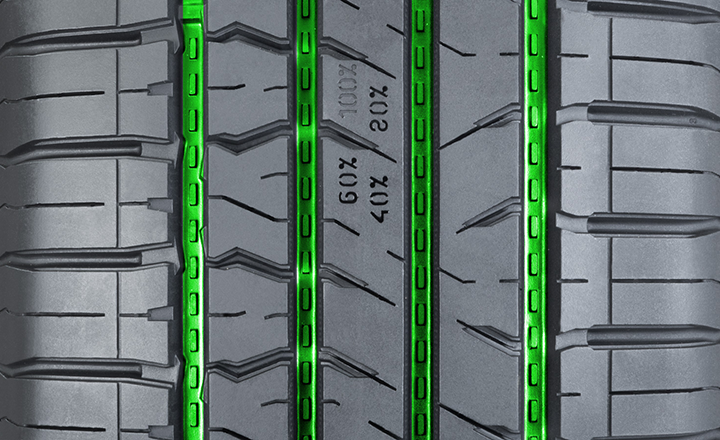 The polished main grooves of the tire serve both a stylish appearance and functionality. The polished and slippery main grooves allow water to flow easily and effectively. The optimized, open design of the main groove openings increases the volume of the grooves, thereby preventing aquaplaning.